Are you suffering from respiratory disorders and blame dirt and dust from your furniture for the same? If yes then chances are high that it’s the dirt from your sofas and upholstery that is causing the trouble. Stop suffering and opt for a professional upholstery cleaning service. Let us help you get rid of germs and fungi! If you are from Perth and more specifically from Daglish WA 6008, we’re ready to help you in more ways than one. How Can Professionals from Carpet Cleaning for Perth Aid in Maintaining a Healthy Home? Pollution not only degrades your health quality when you are outside home but also degrade the quality of air you breathe inside. Regular cleaning can help purify the air inside so it becomes free from microbes and bacteria. Children are prone to diseases like allergies and asthma on prolonged exposure to these trapped unwanted particles. 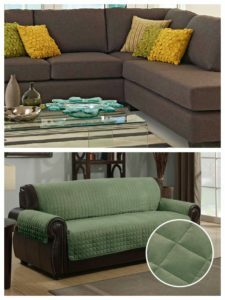 Opt for a professional upholstery cleaning service now! We Give You 3 Reasons How Our Professionals Can Aid You in Maintaining a Healthy Home! Say that you have pets at home and your guests prefer not to eat anything at your place. Why? Because every time they sit on your sofa, they find furs and animal hairs stuck everywhere. This gives you and them a feeling of disgust. Our trained professional cleaners vacuum clean every bit of fur and skin from your sofa, so you feel at ease. Say, you were so pumped up while watching the match that you ended up spilling coffee or ice cream all over your beloved bean bag. Often it becomes difficult to tackle coffee stains and in days it becomes almost impossible to get rid of them. Let Carpet Cleaning for Perth take up your case. We take every care to remove even the toughest of stains and your upholstery looks brand new once again. Moving on to the issues with pets, obnoxious smell is the order of the day and we mean that in a negative tone. It’s not very pleasing when guests and family members complain about that awful smell from your fabrics. Whatever be the cause of that smell, we employ special upholstery cleaning techniques to get to the root of any obnoxious smell. Additionally, we deodorize your furniture so that you feel fresh for a change. For the sake of maintaining a healthy home; do not let bacteria and fungi to reign supreme on your furniture while they watch you suffer. Put an end to your suffering and let us handle every bit of furniture, be it your sofa, or mattresses or even those cute bean bags. Who knows? They might be abodes of allergens themselves. We request each and every citizen of Daglish WA 6008 to consider the case and act immediately. Gift your children a healthy home and live a peaceful life. Remember there are no substitutes of clean and tidy upholstery. Opt for our professional upholstery cleaning services now. Do your guests prefer not to use your bathroom when they pay a visit? In all probabilities, unclean tiles and grouts may be the reason for the same. Accept the fact that you do understand the need for a proper tile and grout cleaning service. Trust us when you feel the need to opt for a thorough cleaning of your tiles and grouts. Be it your bathroom, or your kitchen or anywhere else, it is more than necessary to clean regularly. Of course that is next to impossible. We make your tiles last longer. Neither do they smell awful after our experts try their hands to take care of them. To start with, imagine a situation in which the sight of an unclean tile startles you even though it’s just been months since you fitted them. What might be the problem? Well, just like airborne dust particles affect your breathing when you are out of home, hosts of fungi and bacteria settle on the tiles. If it is kitchen tiles that you are concerned with, they might fall on your food and create an unhealthy situation. Imagine that you are from Daglish WA 6008 and the sights of growing molds disturb you. Molds are known to cause respiratory problems, might initiate fatigue and nausea. In higher contaminations, they may also lead to excessive breathing difficulties and might rise with your blood pressure. Let us mop the very existence of molds from its very roots. We take special care to remove any molds growth in between two tiles. Additionally, a professional tile and grout cleaning involves application of certain chemicals which inhibit molds growth. Tiles and grouts have special glazed coating which makes them look beautiful and shiny. In the course if time, they lose their glaze. Why not refer to Carpet Cleaning for Perth to retain that glaze? Dirt and dust accumulate in layers and occasional spills add to the cause. This may cause in their discolouration. Forget stains and dust, we take care of everything thanks to our expert cleaning services. It is better to keep cleaning instruments like mops and tile cleaning chemicals at hand. Experts recommend a regular cleaning of your tiles to retain their valour. But life is fast and households do not get the time for regular cleaning. Plus, tile cleaning instruments do not come cheap. Forget everything and let us bear the pain while your tiles look good as new. 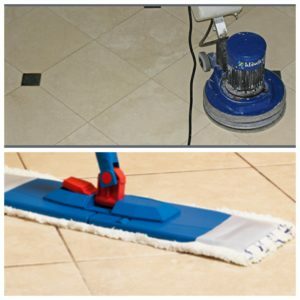 We at Carpet Cleaning for Perth take very care to ensure that your tiles good as new. Our professionals observe every bit of scratches and stains and select the best way to retain their original colour. So what are you waiting for? Residents of Daglish WA 6008 may call our representatives and avail our premium cleaning services. When it comes to expert tile and grout cleaning, we are the best. If you are wondering from where that awful smell is coming from, look down. Chances are high that it may be your carpets that are unclean. If you have pets at home then you know that it’s a headache to get rid of animal faeces. Not only do they create an unpleasant environment, they may affect your health badly. Opt for the best carpet cleaning services and let us do the honour to present you spotless carpets. If you have an office or a residence near Daglish WA 6008, you must be aware of the trapped pollutants that might adversely affect the health everyone in it. Not only is it unhealthy but it leads to decreased productivity. How Professionals from Carpet Cleaning for Perth Ensure Cleaner Carpets at Home/Office? One of the most common invaders to your delicate yet overused carpets is molds. Over time, they settle between the carpet fabrics and it is difficult to get rid of them. Our expert carpet cleaning service providers ensure that every bit of unwanted pest is extracted. We make use of industrial suction techniques and let you and everyone around you breathe easily. Often you don’t care to observe suspended sediments because they are not visible with the naked eye. Not only do they provide shelter to dust and dirt but also destroy the carpet fabrics. If you do not care to clean them frequently, they may lose their colour and you may have to incur the costs of buying a new carpet. We help protect your carpets against an untimely death. 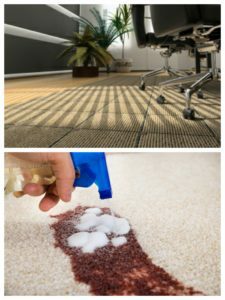 Watch our experts use professional carpet cleaning techniques to make them look new. If you are still hesitating to call us for a thorough cleaning of your carpets, rest assured. We provide certification for the restoration work that our experts work on. This means that we provide industry standard cleaning. It will not only be impossible to find pollutants destroy the fabrics but also pave the way for cleaner home. Some DIY Techniques That Our Experts Recommend Trying Before You Call Us! Use freely available chemicals like white vinegar. Experts suggest that white vinegar is very effective in cleaning carpets thanks to its deodorising properties. Plus it’s safe to use and tackles almost all stains. Tough stains like those of wine or coffee can only be tackled with stronger cleaning agents like salt. But make sure you use it in limited quantities because an excess of salt might destroy the carpet fabrics. In most cases, customers complain that their DIY techniques either go wrong or do not work. In all probabilities, you might not have used it in definite proportions or the stain is too reluctant to pass. Take our help to tackle these problems. Our expert carpet cleaning professionals handle each and every existence of microbe invasion with ease. Residents of Daglish WA 6008 can call us now for a through check-up of their carpets. Accept the fact that it becomes a hurdle to take care of thorough cleaning at home or office. If you are residing in and around Daglish WA 6008, you know that we have a hot and humid climate almost throughout the year. Be it your unclean carpets or dirty sofas, we take of everything. Say that you just had a party at home and like after any party, your home becomes a mess. How to Tackle Mess After-party? Well, experts from Carpet Cleaning at Perth suggest physically removing every bit of unwanted materials. But often you miss carefully observing each and every detail for hidden microbe or molds growth. That is exactly where our professional cleaners come to your help. We make sure that your home stays germ free. So if you are staying anywhere in Daglish WA 6008, make sure you give us a call the next time you feel the need to clean your home thoroughly. Seeking Carpet Cleaning, Upholstery Cleaning or Tile and Grout Cleaning in Daglish WA 6008? Call us now on 0424 470 460.